My hair never usually has any issues with volume unless I straighten it, then it looks as flat as anything! I've tried a couple of texturising powders before but most of them leave a white residue on my roots and it looks like I have grey hair, not so great! Label.M is a haircare range by Toni Mascolo (of Toni & Guy) & Sacha Mascolo-Tarbuck, professional haircare stylists. We've used their products previously and we've loved everything they came up with so far. 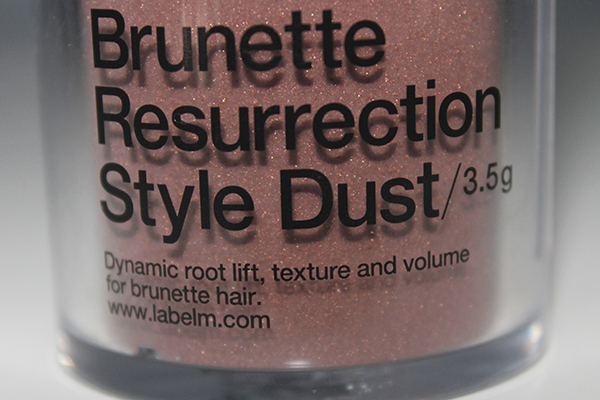 The Brunette Resurrection Style Dust* is a very fine powder which you simply shake onto your hair for added root lift, texture and volume. I find this really helpful if you’re trying to backcomb your hair to apply a little bit of powder (a little goes a long way!) and brush through the hair, the results are amazing. As you can see the powder has a little bit of a shiny/glittery look but you can’t see it very much at all when it’s applied, so you wont have a glitter ball on your roots! 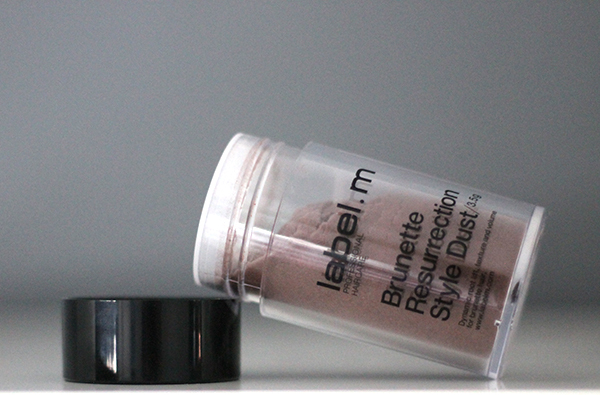 I’d say the texture of the powder is quite similar to OSIS dust it, but with a little more hold and texture. If you’re looking for a product to revive your hair and give it a little boost, I’d definitely recommend this product. If you're not a brunette, they also have a white version so there is something for everyone!